The Highschool DxD Season 4 release date has been officially confirmed to be coming up in 2018. Called Highschool DxD Hero (alternatively written as High School DxD Hero), the TV adaptation of Ichiei Ishibumi’s light novel series is set to take the anime in a new direction. Some anime fans may find plans for the fourth season of Highschool DxD slightly unnerving because the anime production studio is changing from TNK to Passione, a relatively new company with only four anime series under their belts. Their most popular work is Rokka: Braves of the Six Flowers, which garnered a respectable 7.57 score on MyAnimeList. Otherwise, Passione is known for Haitai Nanafa, Rail Wars!, Hinaka Note, with their most recent project the adaptation the manga Citrus in 2018. According to the official website for Highschool DxD Hero, the main voice cast will return for the fourth season. Passione’s Yoshifumi Sueda is replacing TNK’s Tetsuya Yanagisawa as director. King’s Game (Ousame Game) writer Kenji Konuta will be the series composition writer. Makoto Uno will be the new character designer. The new art direction for Highschool DxD Season 4 will definitely jump out at fans of the first three seasons. In comparison to the first season’s designs, Issei Hyoudou, Rias Gremory, Asia Argento, and other characters have basically been transformed into moe (Japanese slang which means “feelings of strong affection”) characters. Reactions are probably going to be either “love it” or “hate it,” but the real question is where the new studio will take the story. Author Ichiei Ishibumi and illustrator Miyama-Zero launched the light novel series in 2008, but it was not until 2012 that the story was adapted into an anime. Kadokawa released the Highschool DxD Volume 25 novel on March 20, 2018. Volume 26 has not yet been announced, but based on history it’s likely to be released in the summer or fall of 2018. While the light novels have not been officially translated into English, there are multiple fan projects and they are currently up to Volume 24. The story has been adapted by mangaka Hiroji Mishima into a Highschool DxD manga since the summer of 2010. There have also been multiple manga spin-off series. The English translation of High School DxD Volume 10 was released on December 19, 2017, but that manga book only covers story events which occurred in the first several episodes of the anime’s third season. The Japanese Volume 11 came out on April 9, 2018. The first season of the Highschool DxD anime adapted the first two light novel volumes. The second season adapted Volumes 3 and 4 of the light novels and is split into two story arcs: The Excalibur of the Moonlit Schoolyard and The Vampire of the Suspended Classroom. The third season, Highschool DxD BorN, tried to take Volumes 5, 6, and 7 and stuffed them into a single-cour season. In order to pull this off, TNK greatly rearranged the presentation of the story by pulling elements from later novel volumes. In general, BorN covered the remaining parts of the Birth of the Breast Dragon Emperor story arc in addition to the opening parts of the Heroic Dragon Oppai arc from Volume 7. The thirteenth OVA episode and other specials covered half of the Volume 8 Side Stories in addition to providing anime original content. The anime also diverged greatly from the novels in Episodes 10 through 12, a major story change that angered some fans. After all, the ending resulted in the destruction of the Kuoh Academy school building and had Issei fighting a mind-controlled Rias. The two even confessed their love for each other, but that memory was conveniently retconned out of existence when they were transported back home. Since the third season had an anime original ending, studio Passione started the fourth season with Episode 0. It’s not merely a recap of the ending of the third season, it literally retconned the last several BorN episodes out of existence. The activation of Issei’s Juggernaut Drive and the defeat of Shalba Beelzebub is still there, but this new beginning bridges the gap between the third season and Highschool DxD Season 4 by following the story of the light novel. Passione decided to adapt only two light novel volumes for the story of Highschool DxD Hero, which returns to the pacing of the first two seasons. Including the recap/retcon episode, the new anime season is a single cour and will end with Highschool DxD Hero Episode 13. All in all, there are 15 light novels left to be adapted, which is enough for Highschool DxD Season 5 and beyond. If the anime production committee had greenlit a two-cour season, then Highschool DxD Season 4 could have finished the current major story with Volume 12. However, the fourth season is going to cover just Volumes 9 and 10. Anime production company Passione has officially confirmed that the Highschool DxD Season 4 release date will be in the spring anime season. The exact premiere date for Highschool DxD Hero was scheduled for on April 10, 2018, although there was a minor delay of one day for international audiences. The release of High School DxD Season 4 follows Passione’s other 2018 project, Citrus, which is finished airing in the Winter 2018 anime season. The number of episodes for High School DxD Hero is 13, which means the finale will air in June of 2018. Like any good high school anime, it’s time for a school trip and a school festival for the second-year students! This time, the setting for the trip is Kyoto, but pandemonium will quickly erupt when a group of heroes arrives on the scene. But, first, Issei must deal with a trip into his own mind. While on the train to Kyoto, Issei dives into his subconscious and meets Elsha and Belzard, two of the previous holders of the Boosted Gear. One of these previous possessors, Elsha, gives Issei a box which she claims contains future possibilities that may unleash his full potential. While in Kyoto, Issei and his friends are attacked by a young, blonde fox girl with nine tails named Kunou. She’s a leader of the Youkai and she believes Issei is responsible for kidnapping her mother, Yasaka. Once this mistake is sorted out, she begs them all to help save her family. It turns out the kidnappers are the human Hero Faction, a group which considers all devils, fallen angels, and dragons to be evil that must be destroyed. Their leader, Cao Cao, is the possessor of the True Longinus and the descendant of the first Cao Cao, a Chinese warlord of the Eastern Han dynasty. The Hero Faction is mind-controlling the Youkai leader Yasaka in order to achieve their goal in Kyoto. Cao Cao intends on opening the Dragon Gate to summon the apocalyptic Great Red from the Dimensional Gap. Issei’s friends are overwhelmed in the fight to prevent this event, but Issei’s helplessness inspires him to achieve a newfound power. 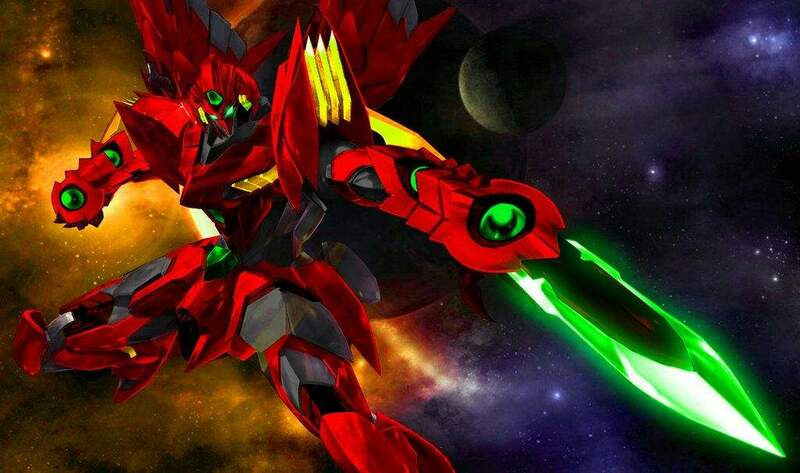 The third season BorN somewhat spoiled the Illegal Move Triaina, which allows Issei to use Promotion at any time and change his Scale Armor to different forms. This new ability allows Issei to counterattack as the Welsh Blaster Bishop, but he’s quickly exhausted. They only survive the fight due to the intervention of another new character, the monkey king Sun Wukong. This article won’t spoil the ending of the fight, but let’s just say Cao Cao will be keeping an eye on Issei. The next part of the story will introduce a bevy of new characters, including Zeus, Hades, Indra, and many others. But it’s the reoccurring character Rias Gremory who will be occupying Issei’s thoughts the most. Rias’ mother, Venelana, scolds her daughter for not making enough progress with Issei, so Rias attempts to seduce Issei in the Hyoudou household’s sauna room. Needless to say, pictures of this scene are way too steamy for this article. Unfortunately for Rias, Issei fails to understand her intentions and calls her “Buchou,” or President, instead of her real name. This reaction greatly upsets and angers Rias and she lashes out at him. Later on, Issei reveals to Koneko, Asia, and Akeno that he’s still haunted by the actions of his first girlfriend, Raynare. Issei remembers the great effort he put into his first date only to be killed by the fallen angel Raynare, who cruelly manipulated his mind. Even after he was resurrected as a devil, Raynare treated him terribly and the experience has mentally scarred him. Issei is now afraid to call any girl by their first name, including Rias. He’s also afraid of showing his emotions and feelings again because he fears rejection. Besides working out his emotional issues regarding Rias, Issei has to deal with transfer student Revel Phenex, a harem candidate with tsundere tendencies. The Gremory group will also be preparing for the annual school cultural festival. The final match of the tournament will be against Rias’ cousin, Sairaorg Bael, and Issei will find himself needing to reach a new level with the Juggernaut Drive. The Juggernaut Drive may have put anime fans on edge during the third season, but Volume 10 takes the excitement up another notch. During his fight with Sairaorg, Issei nearly enters Juggernaut Drive again under the negative emotional influence of Elsha and Belzard. With Rias’ help, Issei resists them, changing their viewpoint in the process and allowing Issei to unlock a new Queen mode form called the Cardinal Crimson Promotion. Where will the anime find its ending? In the light novel, Volume 10 ends with Issei calling Rias by her first name, but this article won’t spoil the ending completely. Fans will just have to wait until the Highschool DxD Season 4 release date to find out how Rias reacts. [Update April 13, 2018] Overhauled entire article to ensure all information is current. [Update March 8, 2018] Added the exact premiere date for Highschool DxD Hero. [Update January 19, 2018] Added the time frame for the Highschool DxD Hero release date.